A very Happy New Year to all of our visitors and supporters! Hard to believe we’re already a couple of training sessions into the new year, with both boats taking to the water! Yes, our in-house crew training for 2019 has already got off to a flying start. 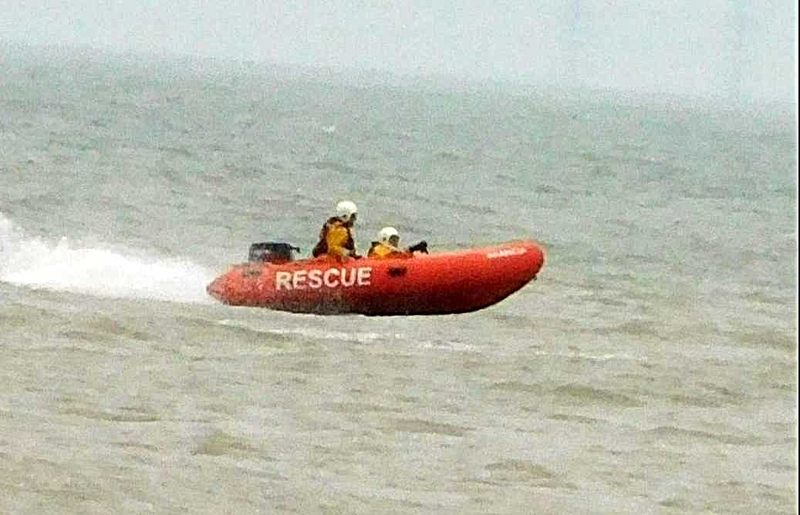 OK, so that should be ‘floating’ but sometimes there’s a need for speed, which means our boats can literally be flying over the waves, as the header photo shows. Our current focus for training in January is supporting trainees to learn techniques for rigging up tows and ensuring safe interactions between boats. 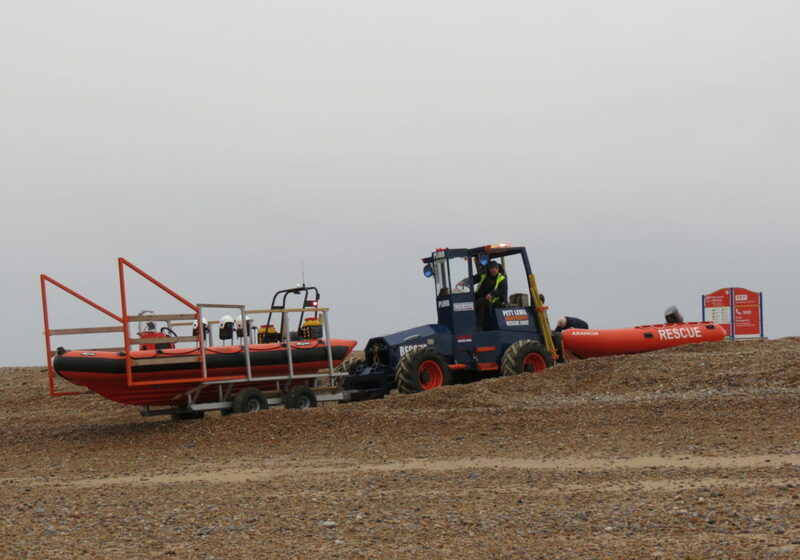 Having two boats means we’re able to practice long tows, longside jumps from boat to boat, and management of the boat and crew positioning when moving alongside to other vessels. This is vital training of techniques used when we’re involved in supporting a vessel which is drifting. 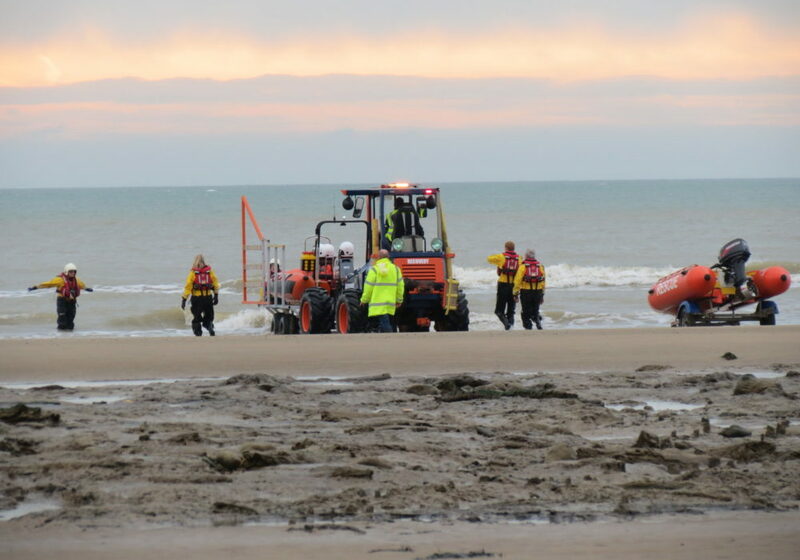 It also offers essential opportunities to practice the transfer of our crew across to a stricken vessel so that first aid support can be given as needed. Towing a vessel is a surprisingly common call-out for us, so getting our trainees fully competent in all aspects of this type of rescue is a priority. 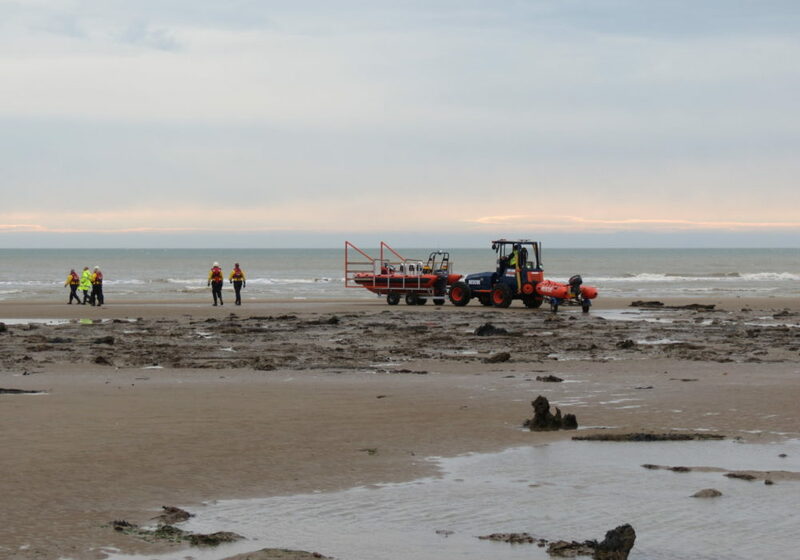 Although our launch photos show a beautiful low tide, this type of training and rescue is extremely seasonal as we prepare for those unpredictably high spring tides and weather conditions. Already there are predictions of snow towards the end of the month and possibly into February, and where there’s significant snow there’s also the high risk of surface water and river flooding when the snow starts to melt. 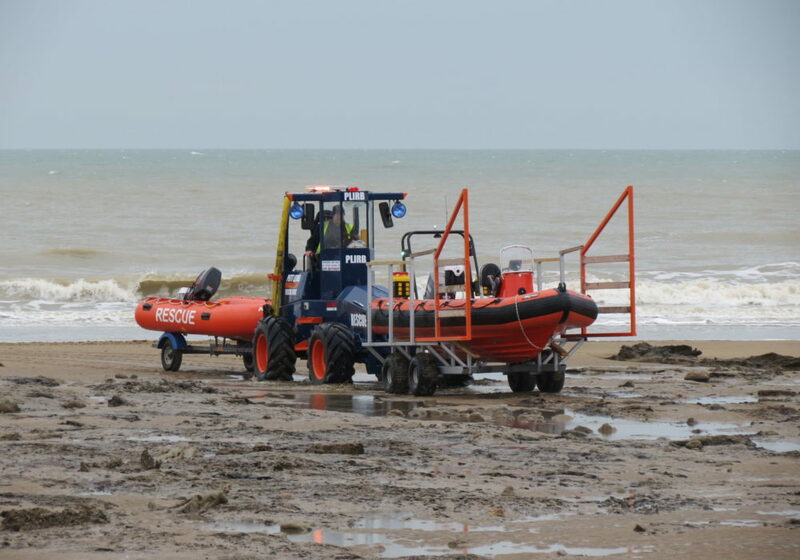 With this in mind, all of our volunteers – established and trainees – train regularly so that we can be assistance-ready if our inshore services are needed in the event of inshore flooding, as well as for our offshore rescue support. So, if it’s your new year resolution to get actively involved in supporting a community charity, don’t forget it’s easy to contact us through this website or our Twitter and Facebook threads, to find out more about volunteering with us in 2019. 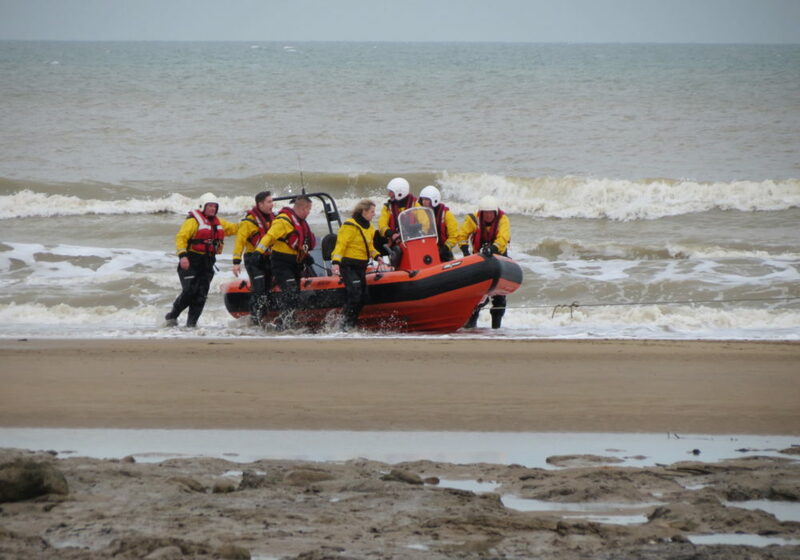 This photo was contributed by friend of the PLIRB, Graham Butchers, who happened to see our training from the shore. Thanks for sharing Graham!